Corsi di formazione e attestato di partecipazione col nostro personale tecnico commerciale. Prodotti per pulizie e sanificazione.. 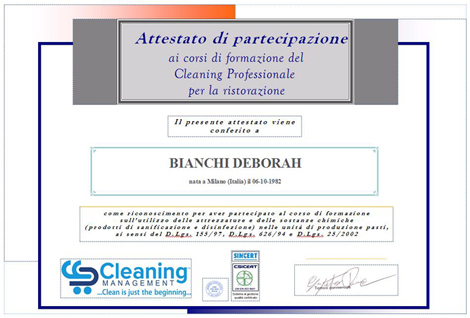 Cleaning Management is specialized to make specific training courses to the professional cleaning company for health, hotel and catering sectors, also to private operators. 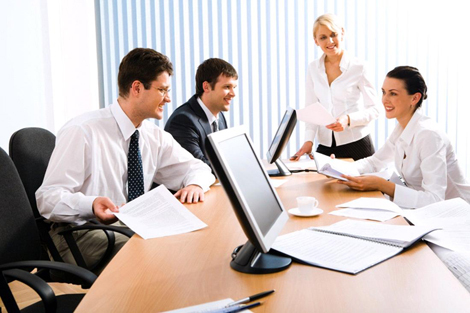 We are able to release at the end of the course the certificate of participation. Our technical sales staff performs basic or advanced training on detergents use and on the various uses of professional cleaning equipment, to use cleaning machines and the latest technology available in the professional cleaning, on environment sanitation and to clean kitchen and industries. Our company is certified and thanks to our Quality Assurance Office, Cleaning Management is able to offer specific sanitation plans in accordance with the national law, to ensure the correct hygiene required in every workplace. ON-JOB TRAINING and INFORMATION ON HEALTH CARE AND HO.RE.CA. For further information please contact our sales office at the number +39 039 59675 50.